CDOs can now transform data governance into business insight using revolutionary Artificial Intelligence. The Chief Data Officer (CDO) is a relatively new position playing an increasingly important, strategic role in business operations. 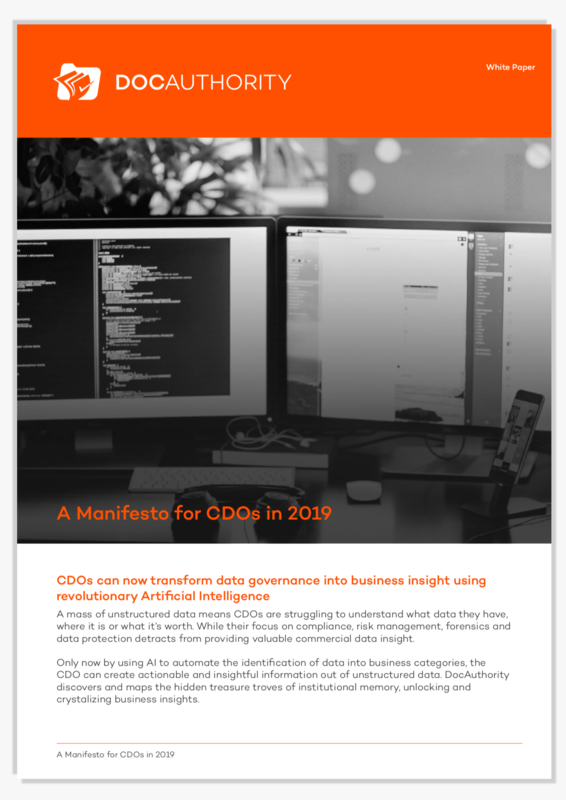 To help businesses create actionable and insightful information out of unstructured data, we’ve compiled a detailed Manifesto that explores the CDO's key focus areas, responsibilities and challenges. This Manifesto is a must read for any new CDO or organization with that position in their organization. 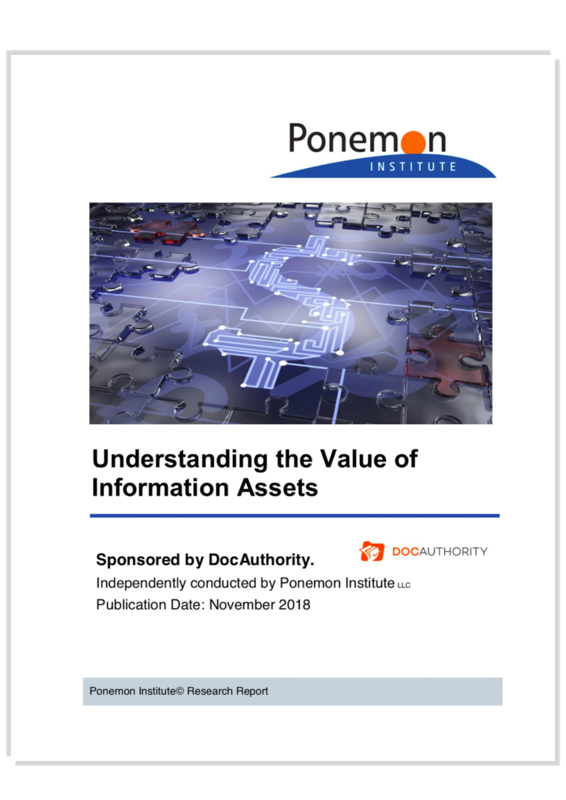 Download our research report with the Ponemon Institute to discover how data assets are being put at risk as a result of IT Security departments incorrectly estimating the value of business data.  The research, of 2,827 professionals in the UK and US, reveals insufficient investments into the availability, protection and security of businesses' most critical data, which runs the risk of more severe data breaches. 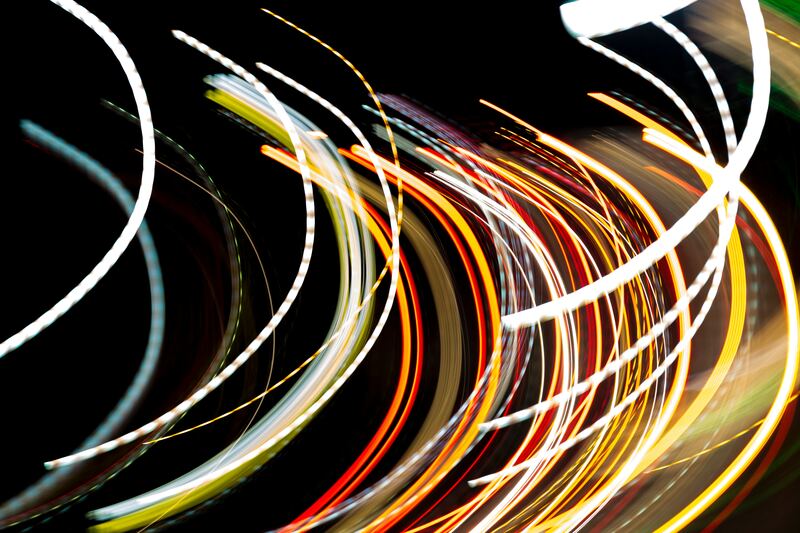 The modern CDO is crucial to delivering business improvement and sales opportunities. However, they are all too often restricted by data governance and a mass of unstructured data hidden away across business’ systems. Read on to discover why AI is crucial to unleashing the full potential of The Accelerated CDO and unlocking valuable business insights. The CDO is crucial in helping organizations understand the value of their information assets and assigning appropriate budget to both protecting their data and utilizing it to meet business goals. This Exec Briefing outlines business data failings and how creating an effective Information Governance Program will highlight how the CDO should efficiently focus their efforts on the organizations data. AI can help the CDO identify and organize their data into categories and so they can reap commercial value from all their data. 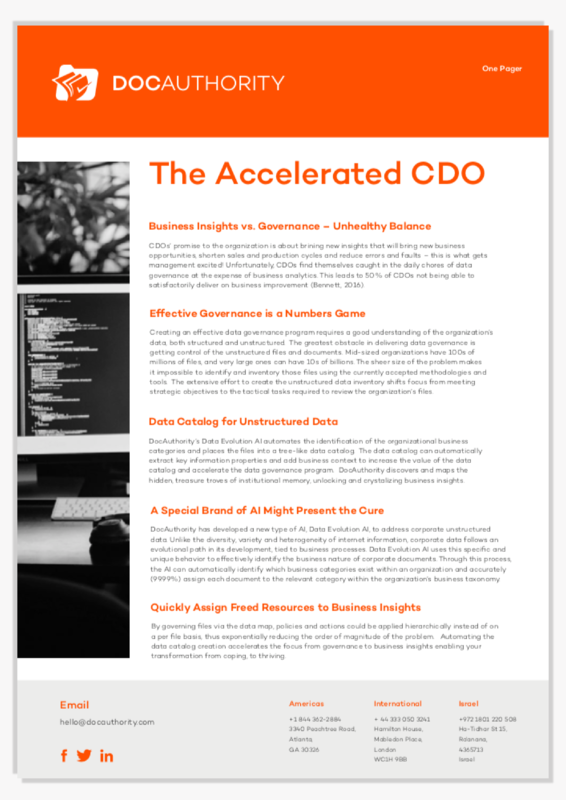 Download our infographic to visualize the CDO's role in helping businesses master the data universe in an age of data overload. Discover how to achieve data lift off and the vital role of AI in categorising commercial data. 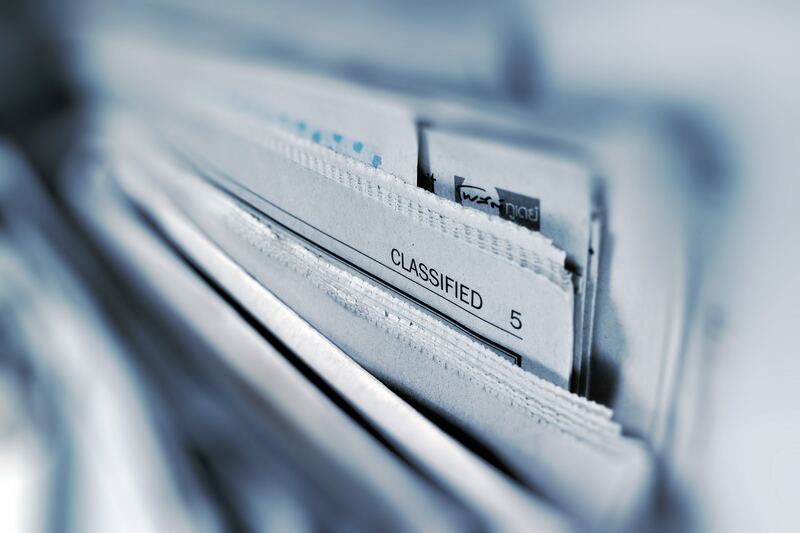 What are the top things to do in Data Identification and Classification? HOW DO YOU APPLY VALUE TO A BUSINESS DOCUMENT? The explosion of data is a huge problem for organizations. Now with GDPR-like regulations coming into place, company data is now also a massive compliance risk. DocAuthority enables you to turn these compliance requirements into business opportunities and use them to dramatically improve all aspects of unstructured data usage, management and governance. DocAuthority’s revolutionary and patented AI engine quickly and efficiently identifies and creates an inventory of all of your business data with the precision of 99.99%. With ease, you can now accurately identify both data’s risk and its value and automate its ongoing classification, protection and retention while improving accessibility and quality.